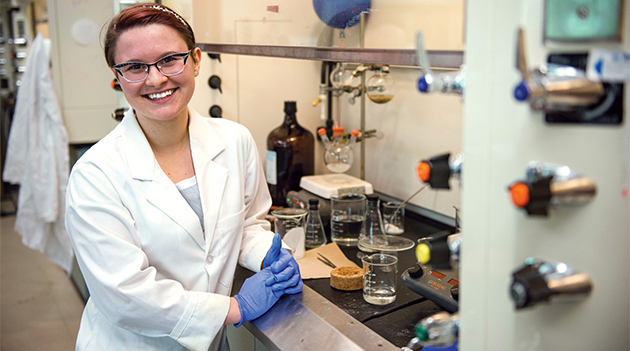 Alyssa Zucchet came to UFV as a stand-out student, and she’s leaving the same way. Recruited out of Chilliwack Secondary in 2012 with a $16,000 President’s Entrance Scholarship, she maintained excellent grades for the full four years, and is leaving with the Governor General’s Silver Medal as the top graduate from a bachelor’s degree program. Zucchet, whose GPA for her last 30 credits (the time period measured for the medal) was a perfect 4.33, is off to medical school at UBC this fall, fulfilling her lifelong dream. 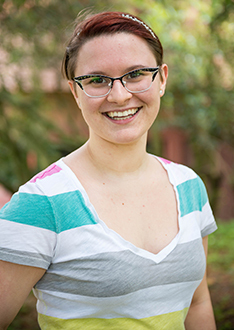 “I have always had a passion for science, and I want a career where I can have an impact on the community and make real connections with people, so medicine is the perfect choice for me,” she notes. She had some help along the way. Zucchet spent many hours in classes and labs and with her textbooks, but she also embraced student life at UFV, volunteering as a student ambassador, and serving as vice president academic of the Biology and Chemistry Student Association at UFV and as a director-at-large with the Fraser Valley Watersheds Coalition in the community. She also valued the research opportunities she got at UFV. She recently finished a Directed Studies course with Dr. Gregory Schmaltz that resulted in a literature review paper on the health effects of electronic cigarettes. They are now submitting it to academic journals. Zucchet says she’s very self-motivated, seeking the highest grades in order to meet her personal standards, and was surprised to find out the university was paying attention too and awarded her the governor general’s medal for her high GPA. As for keys to academic success, she shared a few. “It’s key to find a note-taking method that works for you. Many professors post their lectures online before class, so I would print them out and then add notes to them. This allowed me to really listen to the professor, instead of trying to write down everything they said ahead of time. Zucchet starts medical school this fall, and after enjoying the smaller university setting at UFV so much, is choosing to study at UBC’s Okanagan campus. “Thanks to UFV for being such a great and welcoming community. And for giving students the confidence to do great things,” she says.